Back in the 1970s finding and identifying old bottles was a popular hobby on Ocracoke. For years, lacking village trash pickup or a community dump, islanders simply buried their trash or tossed bottles and other items behind their houses. It was fun searching for bottles, researching their provenance, and wondering about the lives of those who used them. In 1973, while clearing the land for the Village Craftsmen, I was proguing* about near where my great uncle Wheeler and aunt Tressie's chicken coop had been when I spied a glass object buried in the sand. I dug it out and discovered a beautiful glass goblet etched with pintail ducks. 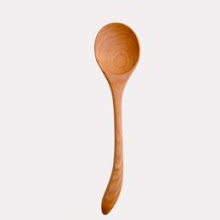 At the time there were few resources for identifying the origin of the goblet. But recently, as I was sorting through boxes in the attic I rediscovered the goblet. 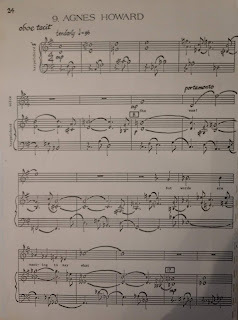 It is signed "Richard E Bishop." In 2019 it didn't take me long on the computer to learn about Richard Bishop. Born in Syracuse, New York in 1887, Richard E. Bishop was a noted artist, painter, and etcher. He graduated from Cornell University and settled in the Philadelphia area where he was a member of various artistic societies and clubs. Bishop was internationally acclaimed for his wildlife prints and etchings. He was the original artist for the Federal Duck Stamp program when it was established in 1936. Bishop died in 1975, just two years after I unearthed the goblet, at the age of 87. I can only speculate about how a Richard Bishop work of art came to Ocracoke. 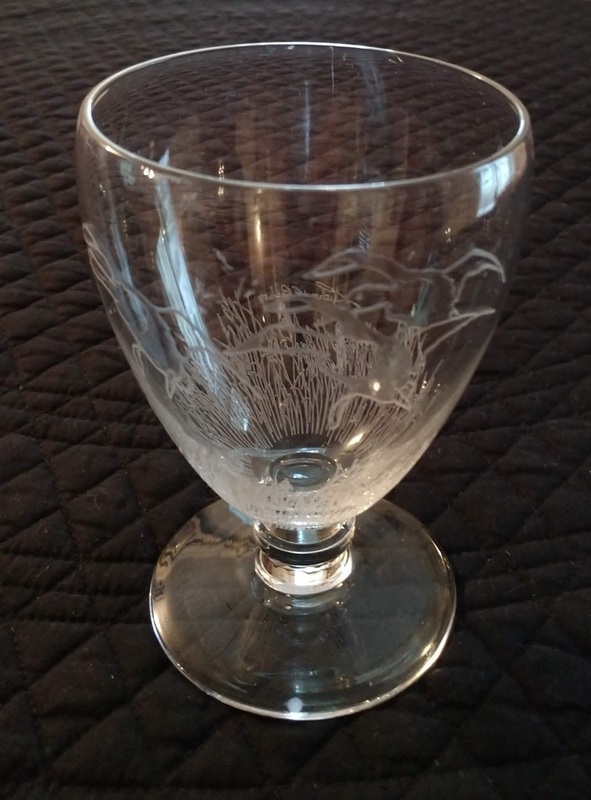 However, since more than 50 Ocracoke men worked in Philadelphia with the US Army Corps of Engineers in the 20th century, it seems likely that one of them brought the goblet home. At any rate, the goblet is a beautiful reminder of uncle Wheeler and aunt Tressie, and their appreciation for art. *Proguing is the present participle of progue, which is a variation of the obsolete term "prog" (going back at least to 16th century England & Scotland), meaning to search, prowl about, or forage for food or plunder. On Ocracoke it can be used to mean searching for seafood, or more generally for just poking about or jabbing at something. To be notified when we publish a new post simply add your email address in the box at the top right and click "submit." An islander approached J......... B........., one of the local bootleggers, inquiring about purchasing a bottle of liquor. "You're lucky," J......... replied. "There's been a run on liquor lately, and I only have one bottle left." After a brief pause, J........... added, "What would you like, rum or vodka?" 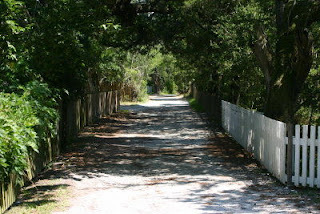 This picturesque sandy lane is a portion of what was once merely a foot path, but then became the main road through Ocracoke village. In 1835, petitioners requested permission to lay out a one-lane public thoroughfare on the North side of Cockle Creek, from “just North of Thomas Bragg’s House” (near the present-day School road) to “John Pike’s garden” (in the vicinity of where the OPS Museum is today) and then all the way to the Sound. In 1957, when the state of North Carolina paved most of the island roads, the eastern end of this road was left untouched. 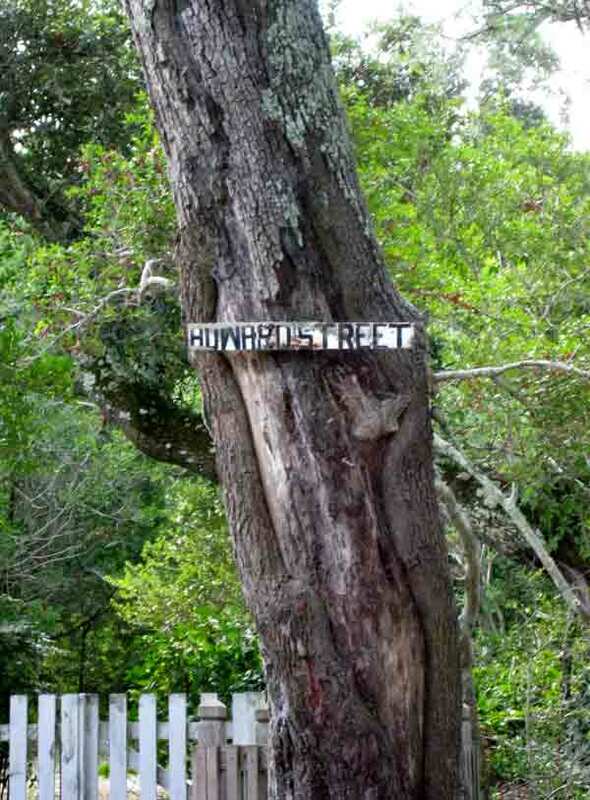 Almost immediately Mr. Stacy Howard nailed a homemade wooden sign to a tree in front of his house and dubbed this "East Howard Street." At that time at least eight Howard families, all descendants of William Howard, Sr., colonial owner of Ocracoke, lived along this street. In 1759 William Howard, Sr., purchased Ocracoke Island. 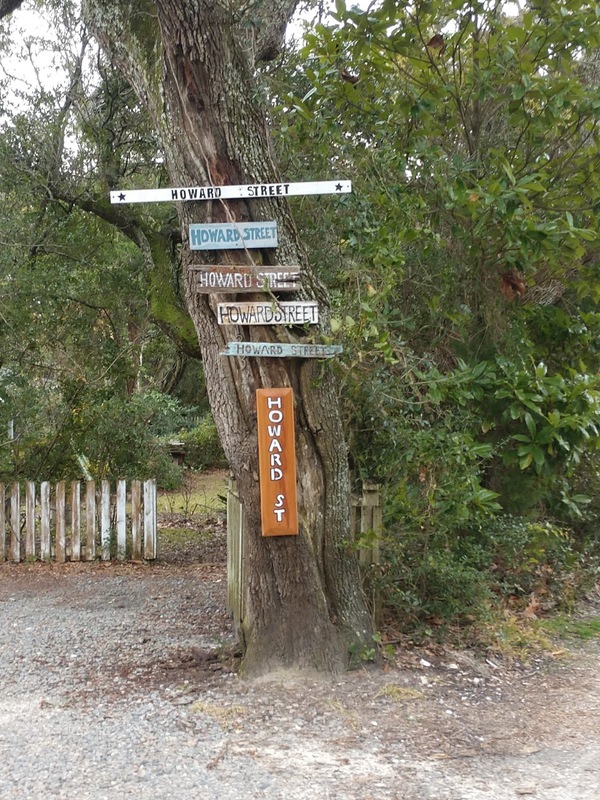 He was the last of the colonial owners, but the first to call Ocracoke home. Descendants of his son, William, Jr., settled in this area. Five generations of the original Howard family are buried in the several small graveyards along East Howard Street, protected by simple wooden fences. Eventually the lane became known simply as Howard Street. It is generally only the older generation of islanders who still use Stacy Howard's original designation, East Howard Street. This past fall the Howard Street sign disappeared. 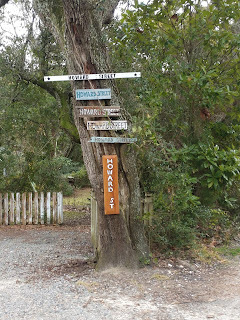 In a spirit of community that is so typical of Ocracoke, several friends and neighbors immediately made new signs. A number of years ago I came into possession of a 1976 manuscript that had been housed in the University of Iowa Library system. 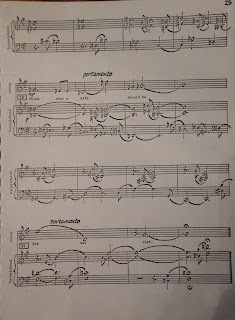 Titled Epitaphs for Voice Oboe & Harpsicord (or Piano), it was composed by Lewis Phelps, winner of the 1976-1977 Composition Competition of the National Association of College Wind and Percussion Instructors. Phelps' preface to his compilation of twelve "miniature songs" explains that "Epitaphs, written to extol the virtues of the deceased, often reveal something about the survivors as well, and present an interesting commentary on humankind generally." His compositions use texts that are "actual inscriptions found in cemeteries from New York to Arizona," selected from "American Epitaphs by Charles L. Wallis." But words are wanting to say what. Think what a wife should be. 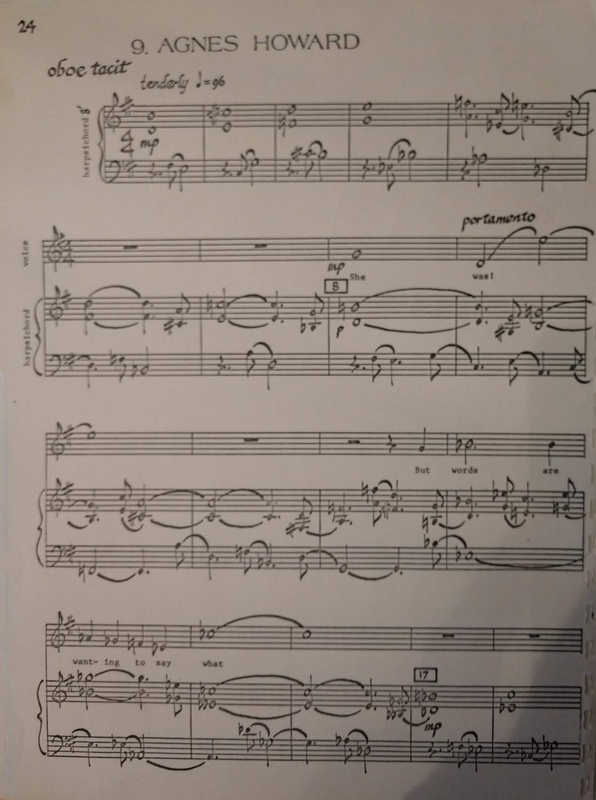 Phelps explains that "Epitaphs is written for a small one-manual harpsichord with a range of four octaves, 8' and 4' hand-operated stops, with a lute on 8'. When a larger instrument is used, the registration may be adjusted slightly.... 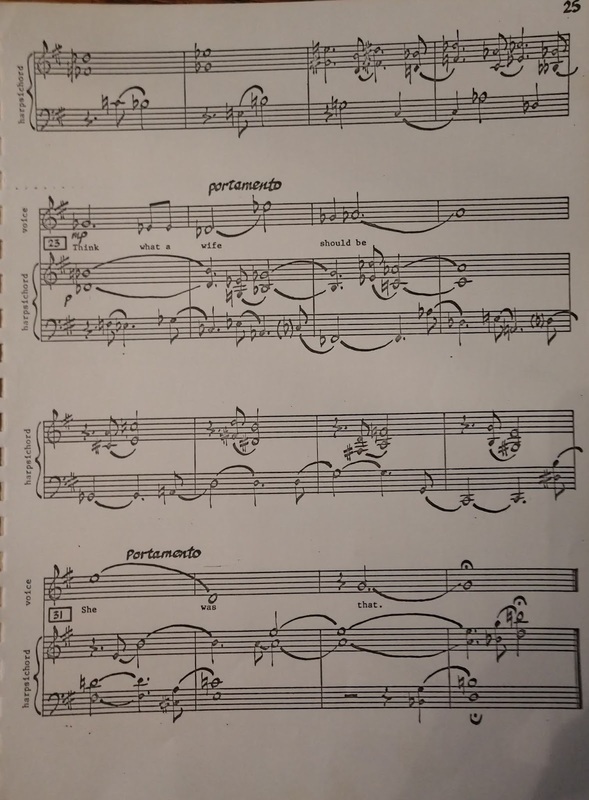 Dynamic markings which appear in the keyboard part are intended for piano." 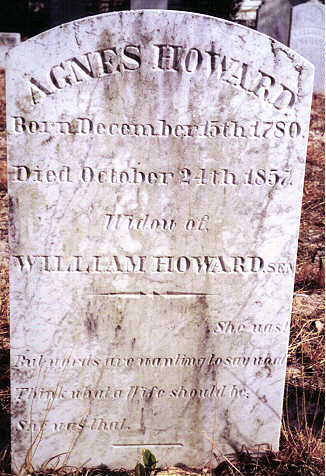 Maybe some of our readers will enjoy playing and singing ("tenderly," advises the author) this song based on the epitaph of Agnes Howard from Ocracoke Island.